Those of us who have to daily go to this war of cleaning and washing dishes and other nice activities will understand the situation in Gardenscapes: Mansion Makeover right away. All the work that you did in the previous release counts, but there is more to do now again. The game is very positive and kind and the characters are very attractive. You can never win the war of house chores, but you can have victories over some battles. So having done all that increadible restoration of the garden in the first game, you really want to show off now before some guests. But the spacious hall in the mansion is in quite questionable condition. The room needs some repairing and organisation. The butler is for your service as before. The graphics and annimations are top-notch. You have great sound effects too. The game is very positive and kind. The characters are very attractive. Austin the butler and the pet dog who you get to name. You can choose from timed mode or relaxed mode. 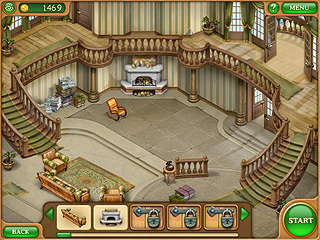 What is going to be your main activity here is to find and sell objects from rooms to make money to invest in improvements. You can find different kinds of hint to use, question marks, camera and thermometer, each of which helps you in a different way. 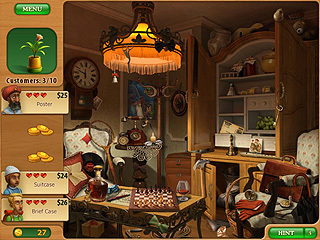 The hidden object scenes are very easy on the eyes with items easy to find. It is fun that the butler does whatever you ask him to do, like feeding and playing with your dog. The game will make you smile with all the positive looks and interactions. I have a jammer strip santa cruz creusir and I ride on OJ Hot Juice 78a Skateboard Wheels 60mm which are great wheels and give a good ride the only problem is they tear really easily. All I do is cruise I don't do tricks or anything so I don't know why they break so fast I try not to ride over rough surface either. What would be a better urethane for cruising? This is Gardenscapes: Mansion Makeover review. Download this game here.